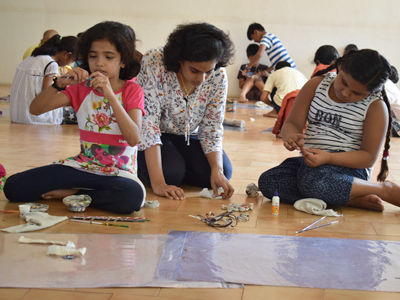 Sri Aurobindo Society is organizing a Children’s Camp – “Rainbow Dreams” – for children aged between 8 and 12 years. The camp will be held from October 2 to 9, 2017, at Sri Aurobindo Society, Puducherry. 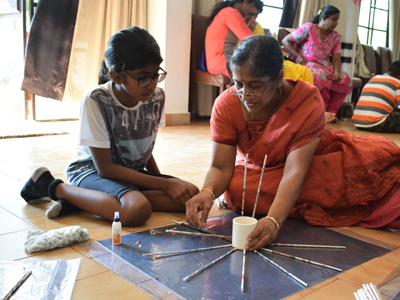 The camp’s primary objective is to build the dream of a beautiful new world of tomorrow which will one day be fashioned and realized by the children of today. To accomplish the dream, the children need to be helped to know themselves, to realize their true potential and learn to nurture and strengthen all that is noblest in their nature. They have to be supported to progress integrally by the development of all the qualities and faculties latent in their nature, not only to face the various challenges of life but to fulfill their true mission of life by giving a concrete shape of their highest aspiration of life towards truth, light and beauty. You can fill in the application/s in the online application form. Please also attach a recent passport-size scanned photograph of the participant. It is mandatory to include the complete postal address, contact number and e-mail ID of the recommending person in the application form. Please ensure that the filled-up form/s reach us latest by July 7, 2017. 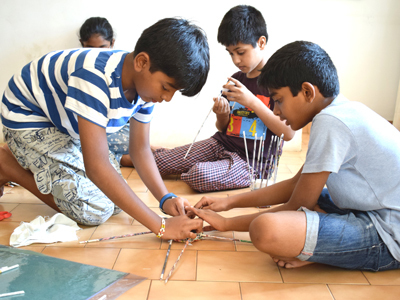 Sri Aurobindo Society branches and centres can recommend up to four children to participate in the camp. To make the selection process smooth, we request the in-charge responsible at these branches and centres to provide the names of children in a preferable sequence. For meeting part of the camp expenses, a concessional Registration Fee of Rs. 1,000/- Per Child has to be paid as contribution on receiving the selection letter. In case of cancellation, 50% of the Registration Fee will be returned. We request participants to inform us about the cancellation well in advance by September 1, 2017, thereby allowing another applicant to participate in the camp. Please contact us for addresses of Guest Houses associated with the Ashram. 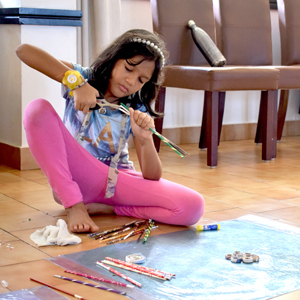 We leave the decision open to persons accompanying the children to either contact the guest houses directly or book the desired guest house via us. For a list of Sri Aurobindo Society Guest Houses, click here. The organizers will provide all the children’s meals during the entire length of the camp. However, persons accompanying the children are requested to make their own food arrangements. Persons residing in guest houses connected with the Ashram can avail coupons that can be collected from the Bureau Central on a daily basis to have their meals at the Ashram Dining Room. Kindly note accommodation and food expenses, excluding food for the children attending the camp, have to be borne by the persons accompanying the children. For further queries and clarification, please contact us without a moment’s hesitation. You can submit the application form online here.